What is Project Life? 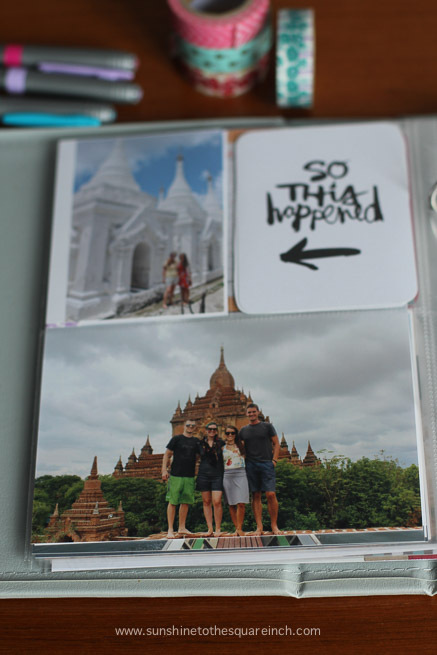 It's basically scrapbooking made incredibly easy. 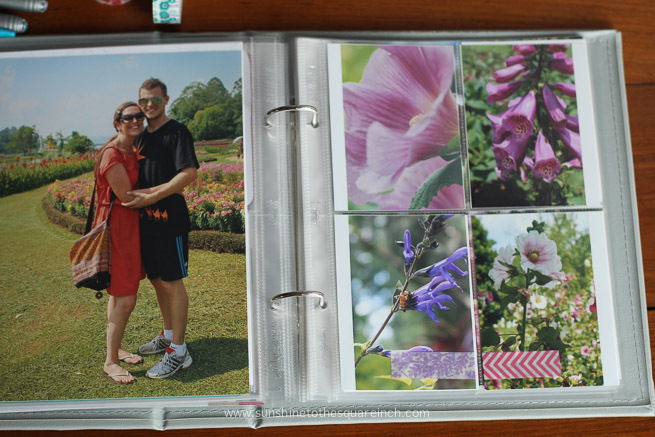 You purchase an album, pages to hold your pictures and artfully designed cards where you can quickly document what your pictures are all about. It requires minimal supplies and is quite fun to work on! 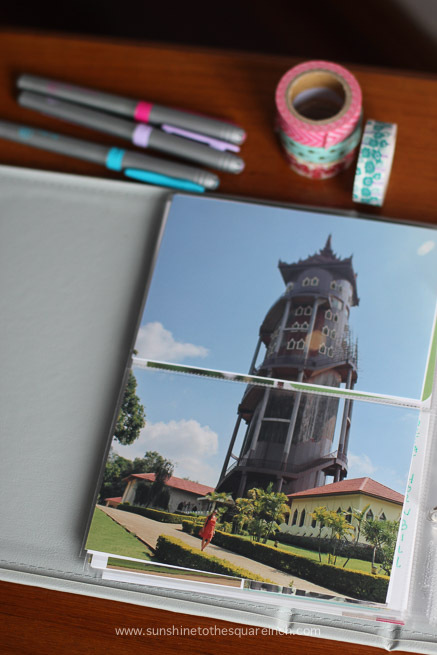 It's also given me a fun craftsy project to do while living in Myanmar. 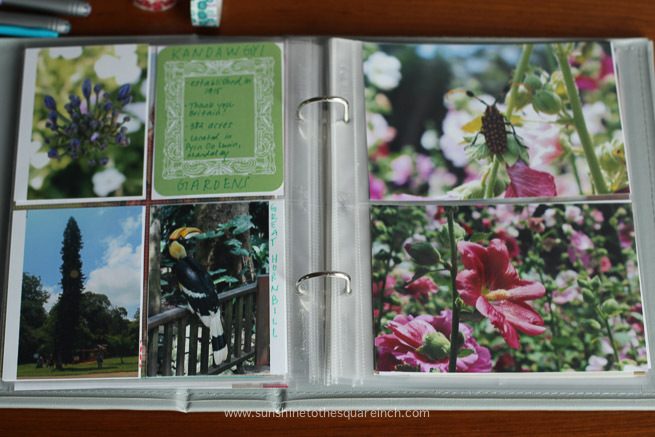 The album itself comes with some pages so it was nice to have those included in the initial price. The Core Kit (aka cute artsy cards) was sold out on the main webiste so I purchased it from Amazon. I purchased a mini kit and wondered if that would be enough cards and it definitely is as it comes with 100 cards! How did I get this all in Myanmar? Well, my super nice friend Alisha was nice enough to bring it in a suitcase for me when she visited us in April. My goal for this album is to document big travel destinations, important events while living abroad and to get pictures of the amazing people we love from our time here. The album, for the most part, will be in chronological order. I’ve been adding in recent events and then have been backtracking a bit too since we arrived here in November and I didn’t start the album until the following April. 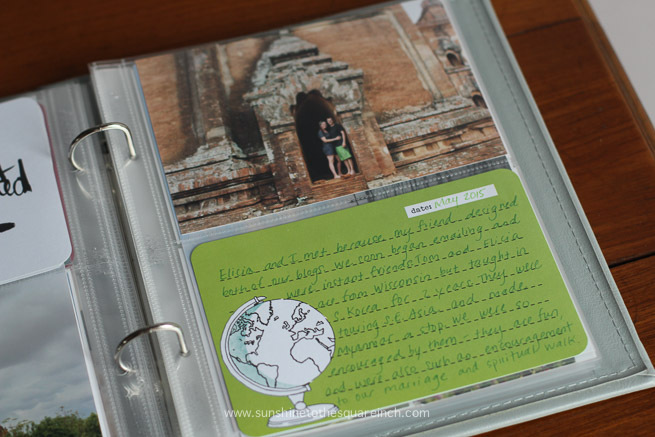 My opening page is a big “6x8” picture of Dave and I at the Golden Palace in Bagan! I think this picture just says ‘Asia’! 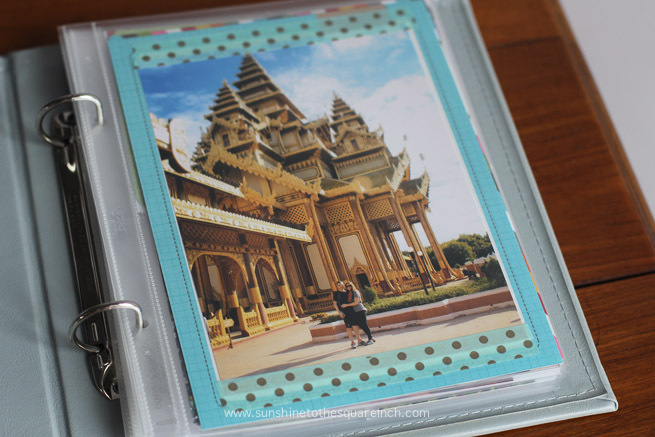 The picture is actually a 5x7 because #LifeinMyanmarProblems. I took a 6x8 card stock to the print shop and the guy there assured me the card stock was a 5x7 and so he printed me a 5x7 picture. Anyways, I didn’t want to reprint it so I just put it on the card stock with washi tape and I think it turned out pretty nice. If you haven't read about the Golden Palace in Bagan you can check that out right here. 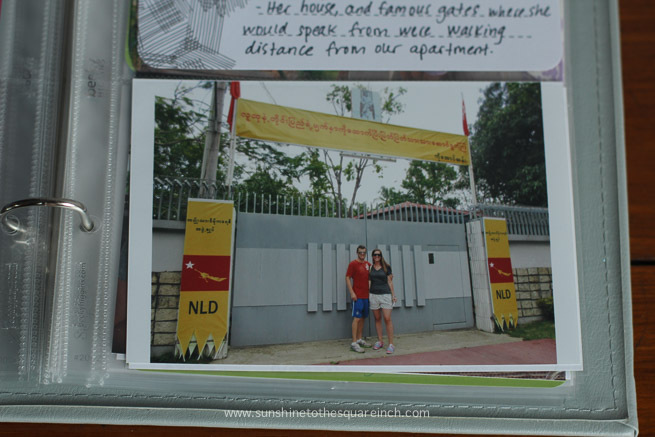 A page dedicated to our apartment and how God miraculously provided housing for us in Myanmar. If you haven't read that story or toured our apartment with us via video you totally should! I have a post about that right here. 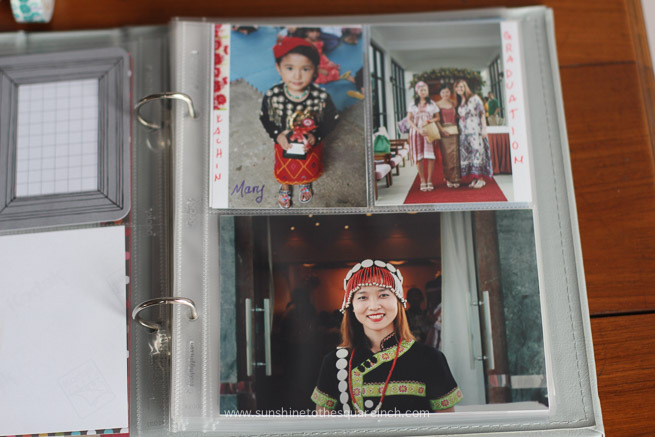 I don’t have all of the pictures I want for this section but these pictures are from graduation when everyone dressed in traditional tribal dress from all around Myanmar. 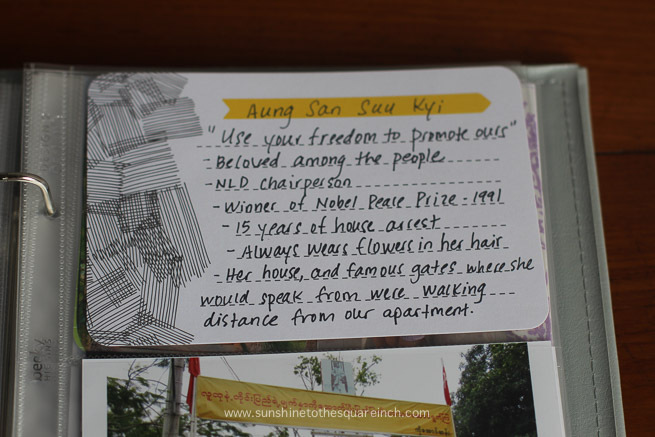 Aung San Suu Kyi’s house! Really, just google her name! She is a hero! Our 2nd anniversary celebrations! We celebrated two times! Our actual anniversary we celebrated in Bangkok by getting our visas and the other time was at Railay Beach in Thailand. 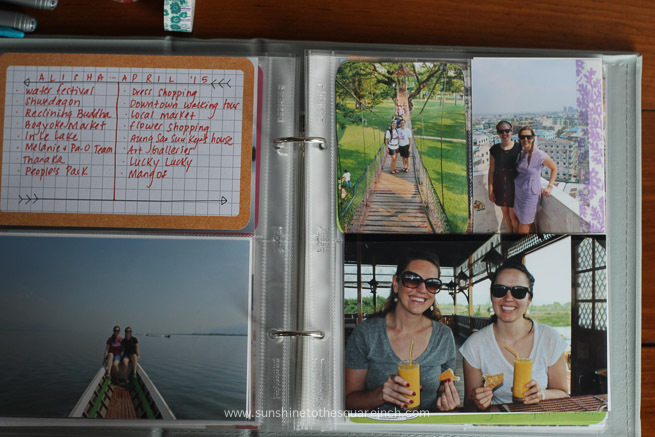 Alisha’s visit to Myanmar! 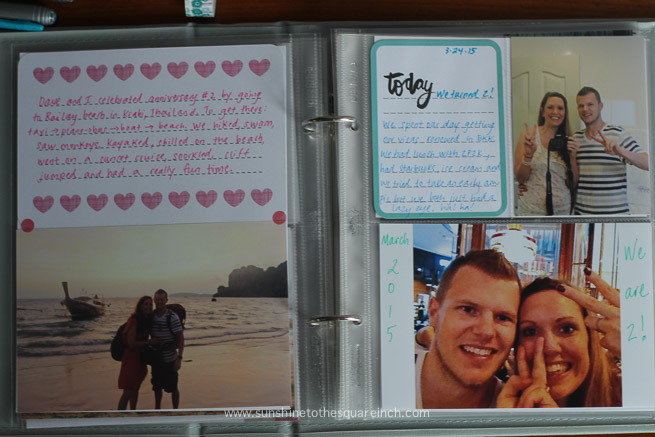 For every person that comes to visit us I want to have a couple of pages recapping what we did together. On this card I did a bullet point of all the memorable things we did and places we went and then I included some of my favorite pictures. Tom and Elicia came to visit us too so I have 2 pages for their trip as well! Pyin Oo Lwin – These are famous gardens built by the British. They strategically built the gardens in the mountains to escape the summer heat. It was so refreshing to be in a garden. I can’t even tell you how refreshing! Like, they even had pine trees and Dave and I kept sniffing the air and saying, “It smells like America! It smells like home! AMERICA!” We know we are weird but living overseas does that to you. Plus they had this huge tower here. I’m pretty sure when we buy a house I’m going to need a tower like this in my backyard. 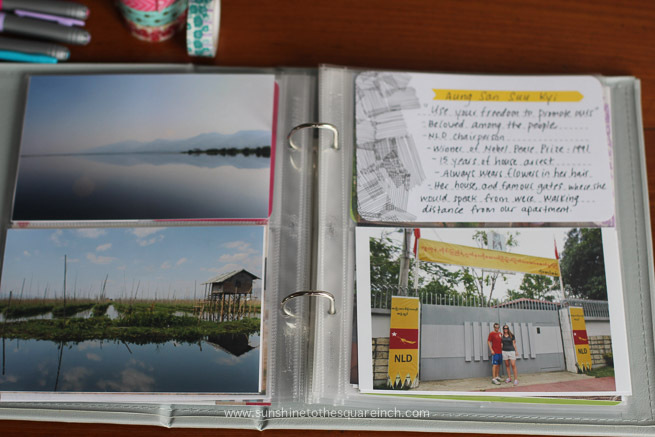 UBein bridge – This page is still under progress but I love the big 6x8 picture in here. And that is where I am at on my Project Life book. 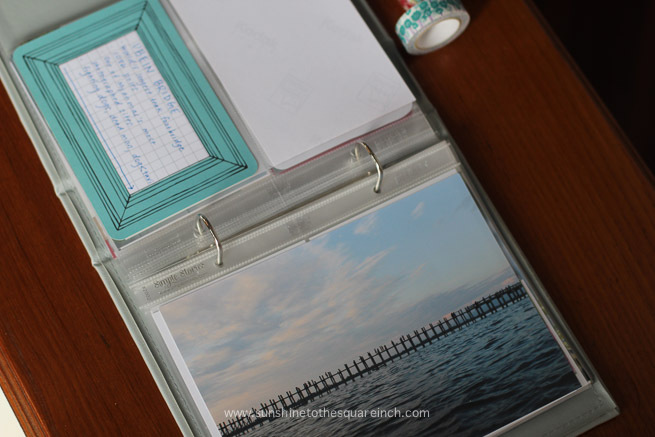 If anyone else is doing a project life book you should share your work so we can see it! 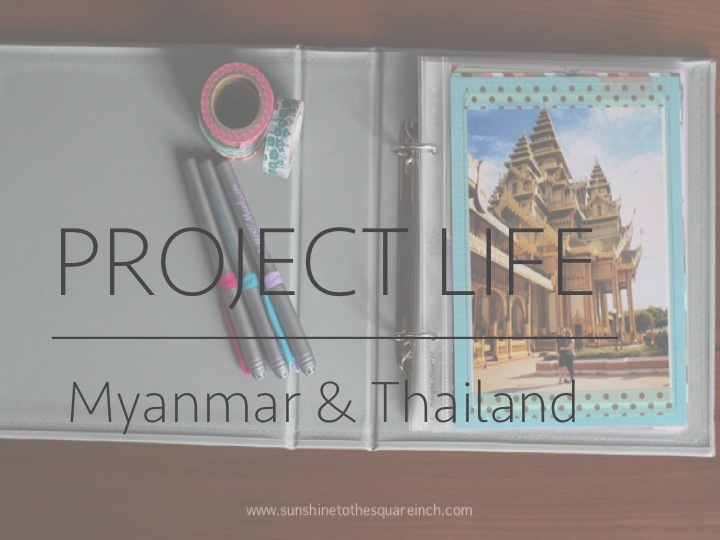 ***Disclaimer*** Buying a Project Life book will distract you from real life responsibilities and you will go to work on it for just a couple minutes which somehow turned into an hour. 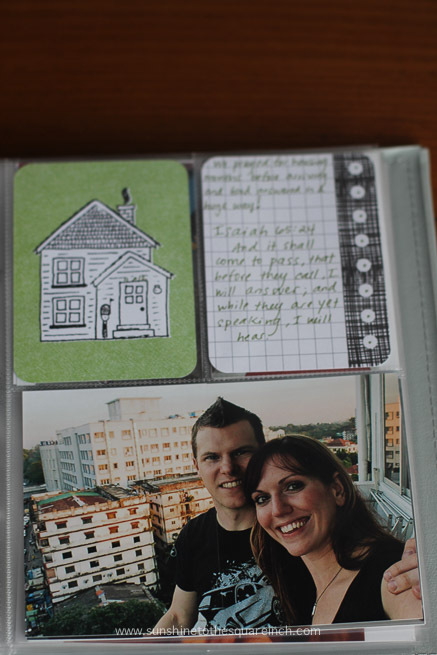 How do you document your daily life or big life moments? Have you heard of Project Life? I just love this! And it makes me feel like a loser for STILL not starting on my PL even though I want to- you're doing it and you're way over in Asia! I love those pictures and your compositions- and I had no idea they sold stuff on Amazon so I'm going to look there too! Loved looking at your pages! Amazon means I order, send it to someone in AmErica and wait for a visitor :) I'm thankful Alisha was willing to bring it over. Thanks! 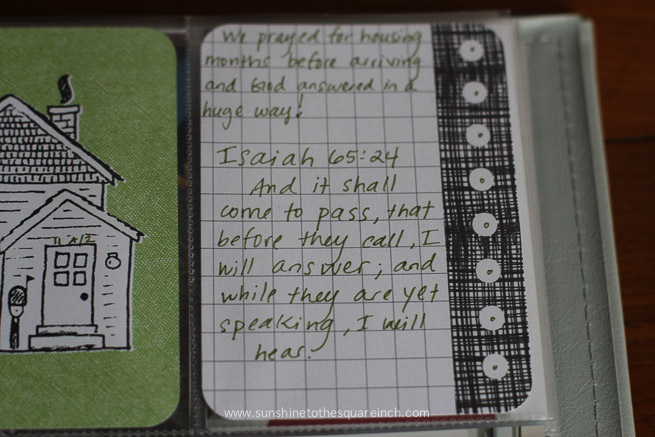 I liked the 5x7 too after I finished it. I was just annoyed at the printing mistake but it really isn't a big deal.